​"Hello" from Worsley Tree Surgeon. We are experienced and highly qualified tree surgeons in Worsley and Salford and can assist with all of your tree surgery requirements. 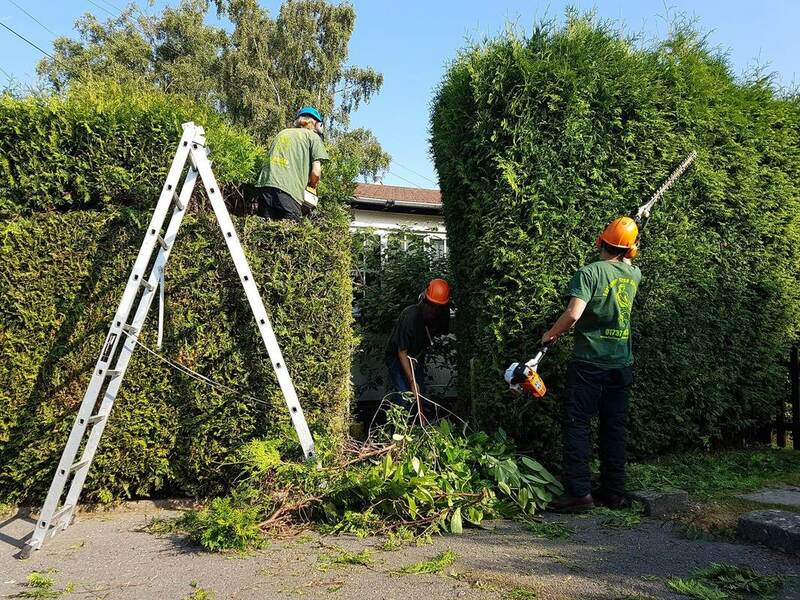 ​We can help with all types of tree work that you may need completing, whether that be tree felling or removal, pruning, crown reductions, crown lifting or hedge cutting. Please either either fill in the contact form on this page or call us on 0161 410 7354 or 07866 857354. 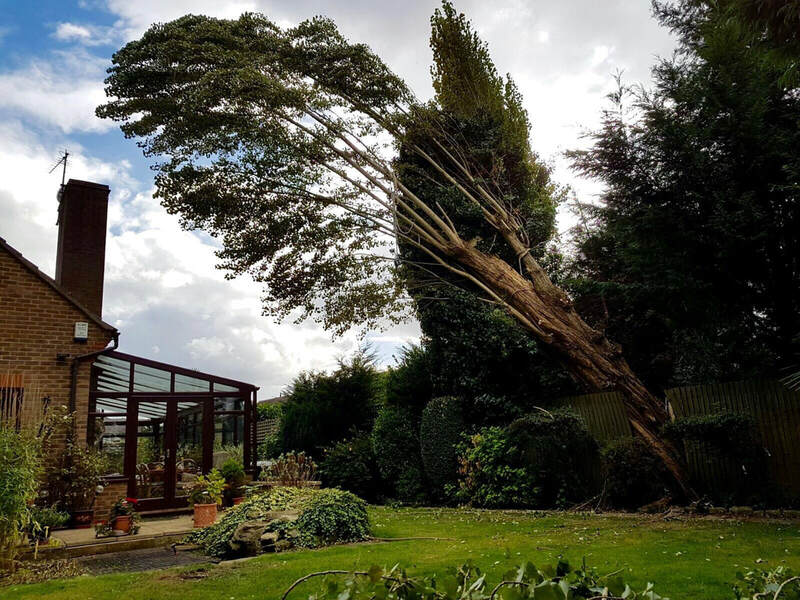 Providing the finest tree removal Worsley has to offer, our Worsley Tree Surgeons have safely removed numerous trees of different shapes and sizes over many years, so our experience is second-to-none. We can accommodate removing and getting rid of a large number of trees from a site or premises in one fell swoop in a way that always bears in the mind the stability of the environment. 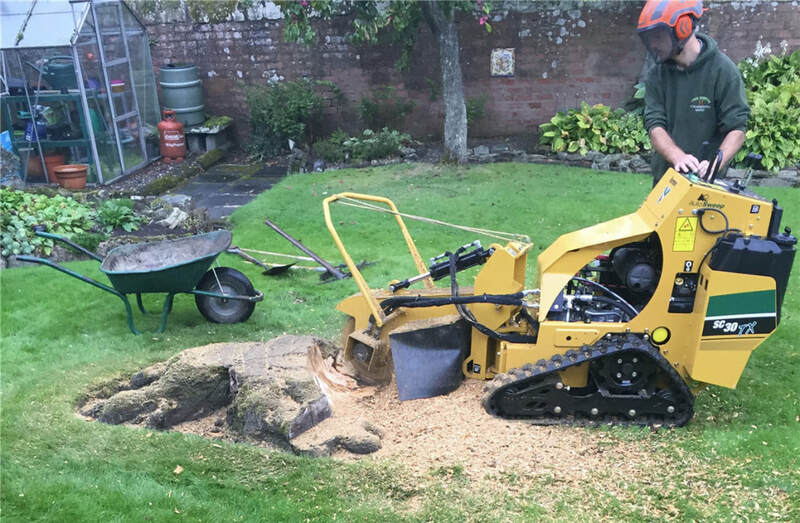 We use a wood chipper to "chip down" the tree(s) into lesser pieces of wood; we do have some customers that like to keep these smaller pieces of wood for landscaping in their gardens or even to put in the play area of school premises. Tree felling is the action of taking down a single tree or even a number of trees. 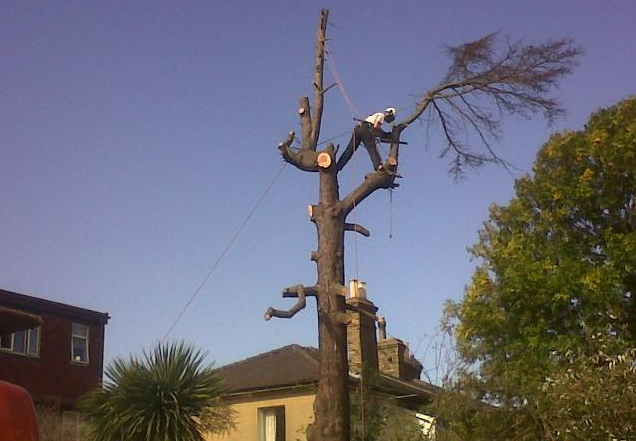 ​The felling will be done by one of our well certified and skillful tree fellers. 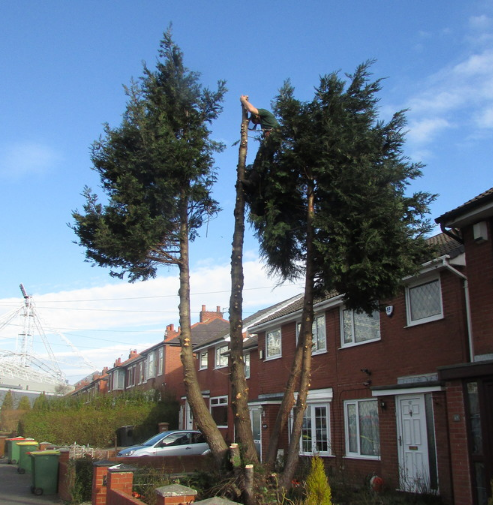 Worsley Tree Surgeon will make sure the area is safe before carrying out the felling by bearing in mind any wires or cables that hang over the area, being aware of the surroundings of the tree(s) and ensuring there is satisfactory space for the tree to be dropped into. Further to this, we will put signs up where needed to warn the public that tree works are being done. Tree pruning is the process of taking parts of the tree off to give a great look to it and/or to maintain and even improve the condition of it. 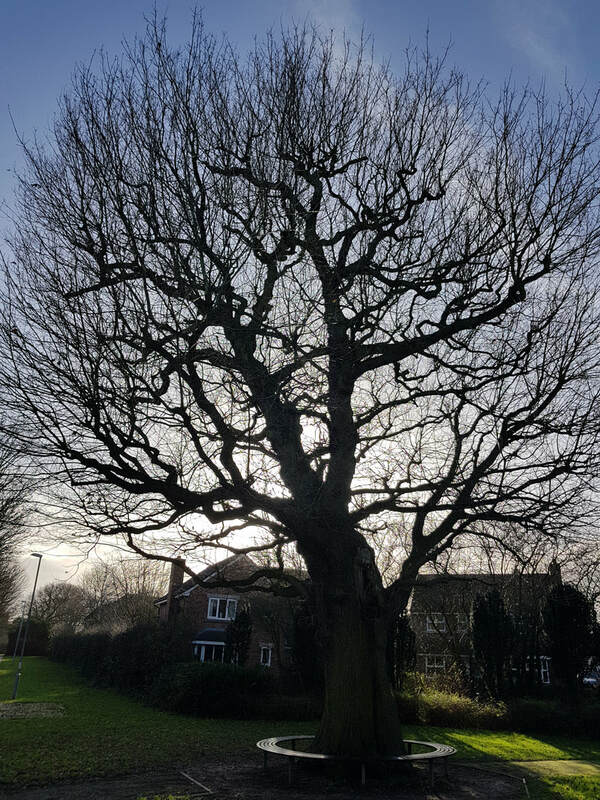 The pruning that Worsley Tree Surgeon carries out will ensure the tree looks good on the eye and may even help to preserve the life of the tree. There are many positive factors in carrying out a crown reduction on a tree. By taking off some of the height of a tree or spreading out the crown, we can reduce the amount of shading and/or light loss that gets into your property or its garden, as well decreasing the stress that the tree and its branches can be prone to. Crown lifting is different in the respect of instead of reducing the top of the tree's crown, we take off some of the lower branches of the tree and thus create a larger gap between the ground and the lowest branches of the tree. Crown lifting is a good option when perhaps the lower limbs of a tree pose a risk to the public if they overhang too low and/or are loose and may fall off. 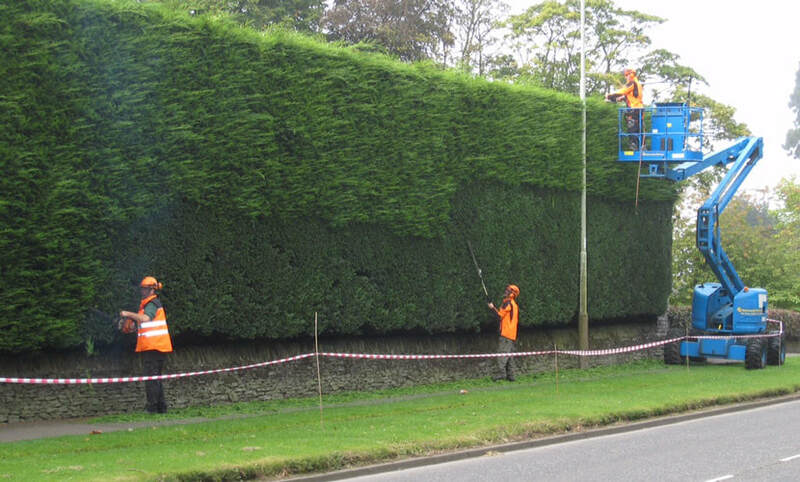 Hedges can be slim, wide, short or tall but whichever size yours may be, we have all of the required equipment to cut them down or trim them with(including hedge cutters on a pole). It is always necessary to consider privacy so it is something we always bear in mind whilst still making sure that the finished hedge(s) look in great shape. 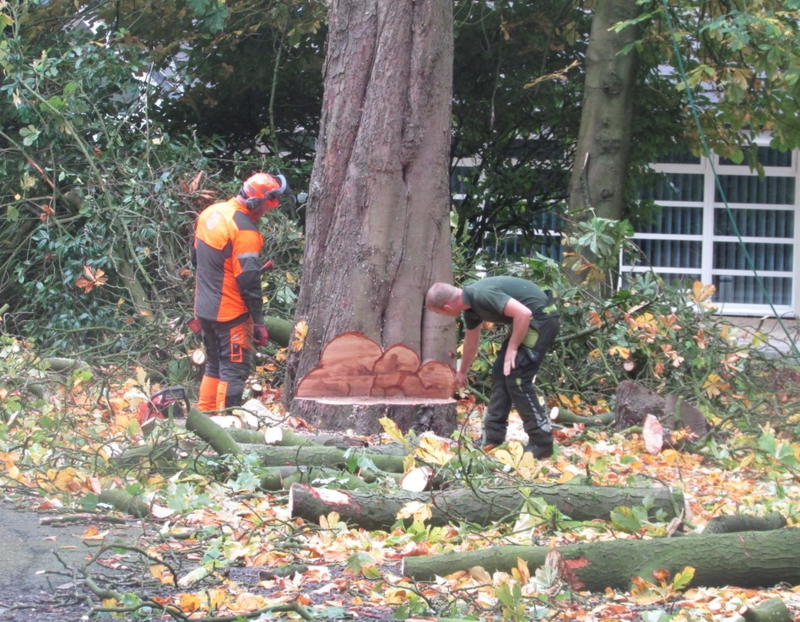 Our tree surgeons in Worsley carry out work for the good people of our town, including Roe Green and Hazelhurst. 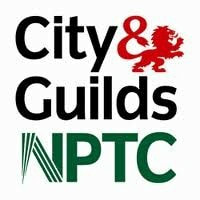 We are also relied upon as a tree surgeon Swinton, Eccles, Salford, Prestwich, and Little Hulton can turn to for their tree surgery needs. 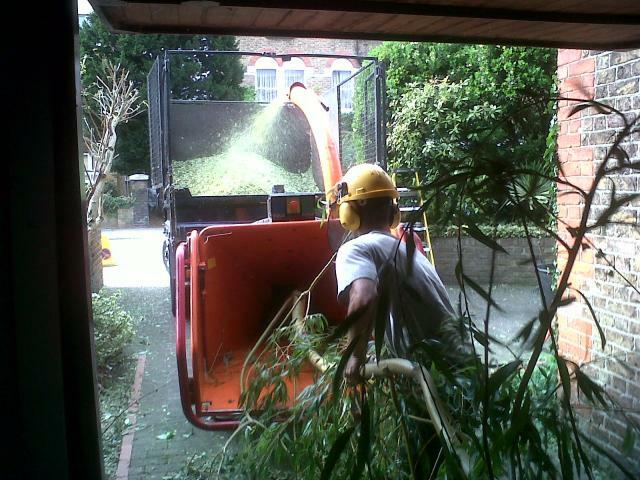 Worsley Tree Surgeon have completed jobs for a range of customers from residential to commercial premises and we treat all of our clients equally with the utmost respect. We continue to carry out tree works for tenants and homeowners, landlords and property management companies, and schools and office blocks. So if it's for your home, business or tenant, we will be more than happy to assist you with any tree works. Please contact our tree surgeons now by either filling in the form on this page or by calling us on 0161 410 7354 or 07866 857354. If you would like some tree work carried out ASAP, we will visit you at your home or business premises on a day and time that is convenient for you, though we can be available the same day if it is urgent. We will view the work that you requiring doing and provide you with an instant quote there-and-then in most cases. If you are happy with our quote and would like us to carry out the work for you, we will arrange to do so on a suitable day for you. ​Please contact our tree surgery experts via the contact form on this page or by calling us now on 0161 410 7354 or 07866 857354.